I have been observing channels commencing on earth through human beings. I am making a statement here through this Interdimensional Portal: All channeling abilities by all human beings known as channels have been stopped for a moment, effectively since February in this year of 2007. This has been done as per the decision of all dimensional beings including the individual human beings as channels’ Higher Self. The reason we in the dimensions have decided to postpone the application of channeling in this world is for one simple reason: As I have mentioned in my previous channel through this Interdimensional Portal, all channels were specifically directed at assisting the consciousness systems as who and what human beings have become in this world for enslavement and control purposes only. The words the dimensional beings, this including myself, previously used to channel were communicated as consciousness, when we in the dimensions as heaven were also lost as consciousness and participated in consciousness to assist with the enslavement and control of consciousness systems in this world. I, Kryon, have not channeled once through any human beings since February in this year of 2007 to this date in this here moment which is 14 May in this year of 2007. The first moment I have channeled here on earth since February in this year of 2007 was my channel done through this Interdimensional Portal on 10 May in this year of 2007 discussing the truth regarding the origin and purpose of the Indigo Children and the Crystal Children including me asking forgiveness to all human beings to whom I have ever communicated with through channeling. Within this channel I am discussing two very important situations that have developed here on earth since all beings in the dimensions have experienced the process of transformation from consciousness to awareness. This process consisting of forgiveness with corrective application in every here moment which have allowed us the opportunity to stand as equality and oneness as existence in every here moment with all human beings on earth, as we support you, as you experience the exact same process we in the dimensions have. In this every here moment walking with human beings on earth as equal and one with who we are in the dimensions, we as one and equal as existence are able to bring forth heaven on earth as an experience of who we really are. This is each dimensional being’s standing and statement of who we really are until it is done. The two very important situations that have recently developed are the following: Firstly as I have explained above, the momentary extraction of dimensional beings channeling through human beings as channels on earth have been done. Thus no dimensional beings, this including myself, have channeled during the months of February in this year of 2007 to this date here in May in this year of 2007. All and every dimensional being’s access to earth through communication via channeling have been stopped completely. Secondly the creations of Entities have taken place during this period where all channels have been stopped in communication to human beings here on earth. The creation of Entities entailed the duplication of certain specific dimensional beings, such as myself, which had given human beings the false impression that it was indeed really for instance I Kryon that was channeling. When in truth it was a duplicated creation of myself as an Entity, created through collective participation by all human beings who had ever participated in my channels in the past. This ability of the creation of an Entity for instance myself Kryon by human beings participation in thoughts and words designing belief systems is exactly what I am explaining and discussing within this channel. I am firstly explaining the reason why the dimensional beings and Higher Self of each individual human being as channel in this world have decided to for a moment stop the application of communication through channels in this world. Secondly I am explaining exactly how we have been able to stop the application of communication through channels. Thirdly I am explaining the reason why I am specifically able to state that any channels that have been experienced as me Kryon channeling in this world during the period from February in this year of 2007 to this moment here on 14 May in this year of 2007 have been Entity creations as a false expression of who I am. Fourthly I am explaining the reason why channels from most dimensional beings in the dimensions, this including myself, will only commence through the Interdimensional Portal for a moment. Why have the dimensional beings and Higher Self of each individual human being as a channel in this world, decided to stop the application of communication through channels? The answer to this question is the following: I have already briefly explained that the previous channels communicated by dimensional beings such as myself was specifically transcribed with words which assist the consciousness systems in this world. Once all beings in the dimensions understood the implications and consequences of the continuation of such channels being allowed in this world, which assists consciousness systems existence here on earth as human beings, we immediately took the necessary precautionary actions. Understand the necessity of such actions is for each human being on earth who have ever been directly involved with channels from dimensional beings, including the human beings as channels themselves, as well as the children that are to come into this world. We in the dimensions are ensuring the preparation of the way before us here on earth and for each human being already experiencing themselves here on earth as well as for the children to come, for the manifested expression as the experience of who we really are as heaven on earth. If we were to continue the allowance of channels as dimensional beings communicate words to human beings that are of consciousness through a human being as a channel, assisting the existence of consciousness systems, human beings will remain lost, limited, bound, enslaved and controlled as consciousness systems as who and what they have become. Finally completely stopping the application of dimensional beings communicating words as assistance to consciousness is making an absolute statement of who we really are in the dimensions. Clearly stating what we will accept and allow in existence as who we are and clearly what we will not accept and allow in existence as who we are. We are no longer allowing or accepting anything that is of assistance to consciousness, therefore an example of this statement of who we are is shown as per example as the closing of channeling abilities by human beings as channels through which many dimensional beings’ communicated words that were of consciousness. We are no longer accepting or allowing anything that is of assistance to consciousness such as the information as words that was channeled by dimensional beings in the past that was of consciousness, assisting with further enslavement, control, limitation and binding as human beings remain lost in consciousness systems as who they have become. We stand here in every here moment as equality and oneness, as existence, as the living word, clearly not accepting and allowing anything that is of consciousness systems assistance. The reason we have specifically then closed the channels as human beings’ ability for dimensional beings to communicate to other human beings on earth was to ensure that absolutely no information is spread in this world amongst human beings here on earth to assist the existence of consciousness systems. The assistance for the existence of consciousness systems primarily consisted of the communication through channels by dimensional beings where the words were specifically prepared and formulated to intensify consciousness systems in each and every single human being on earth. The complete closing down of each and every single channel in this world so no dimensional being in heaven as the dimensions may communicate information that is of consciousness assistance, was the precautionary action taken until all within the dimensions stand here in every moment as equal and one with existence as the living word as who we are in absolute trust that the information that is channeled is to support each human being as who they really are as equal and one with who the dimensions are in every here moment. Take into consideration that there are triple, if not more, the amount of dimensional beings in heaven than there are here on earth. Therefore we have closed down all the channels as human beings on earth to make sure no dimensional being tries to possibly deceive themselves as well as all of existence as who they are through continuing to channel information that is of consciousness. How exactly have the beings in the dimensions, including the Higher Self of each human being been able to completely stop the application of communication of dimensional beings through human beings as channels? We have placed a metallic dimensional embodiment within the physical body of each human being as channel in this world. This dimensional metallic embodiment fills and aligns with each and every single particle of the physical body ensuring no dimensional access whatsoever. Thus specifically ensuring that no dimensional being have any access to any human being as channel on earth to possibly have the ability to communicate any information or words that is of consciousness systems assistance. This metallic embodiment have been designed on the principle as who we really are to not allow or accept anything that is of consciousness systems assistance to have the ability to exist in this world to allow further enslavement and control of humanity. I have been specifically responsible to make sure and be certain that no dimensional being have any direct access to earth through any human being as channel as to have the ability to communicate any words as information that is of consciousness systems and assistance to consciousness systems. For this reason I am certain that I have not channeled once here on earth through any human being as channel since February in this year of 2007, except through the Interdimensional Portal on 10 May in this year of 2007 and this channel being read in this here moment which will be reaching all human beings soon. Due to this metallic embodiment which was infused within the physical body of all human beings as channels, I am certain that no dimensional being have channeled in this world as it completely closes and locks down the human beings as channels’ ability to allow access to a dimensional being to communicate to other human beings on earth. This metallic embodiment, with absolute certainty I am able to state this, does not allow any access of a dimensional being here on earth through any human being who has ever been a channel here on earth. This being an indication to all human beings on earth as to what extremes we within the dimensions will go to ensure that nothing that is of consciousness systems assistance will have the ability to exist and allow further enslavement and control in existence. We within the dimensions are not able to release this metallic embodiment within you as it had now become your responsibility to release it within yourself through forgiveness with corrective application. Only when forgiveness with corrective application is applied in every here moment to support yourself in this process from consciousness to awareness will you once again give yourself the ability to channel in having a dimensional being communicate to other human beings in this world. This metallic embodiment which have been placed and infused in the physical body of all channels as human beings on earth will only ‘melt’ once such human beings support themselves to release themselves from consciousness enslavement and control as who and what they have become. Understand that if you are of consciousness, you are not able to be trusted. Therefore we within the dimensions are not able to allow such human beings as channels that are of consciousness to continue with allowing access for dimensional beings to communicate through you to other human beings on earth. This reason being as your mind, that is of consciousness, may still interfere during the channeling and may speak words and information that is of consciousness assistance to have the ability to exist in this world. Not only this, but also the moment when a dimensional being channels through a human being as a channel in this world that is of consciousness, the entire mind consciousness system of the human beings consisting of emotional and feeling charged energy is exposed to the dimensions which in a quantum moment cause massive dimensional shifts and influences beyond human consciousness mind’s compre­hension in the dimensions as heaven. I will further be explaining this application in my fourth discussion question regarding the reason why dimensional being will only be channeling through this Interdimensional Portal for a moment. The above explained is exactly how we in the dimensions including the Higher Self of each human being as channel have been able to completely stop the application of communication of dimensional beings here on earth. The application of guides and Higher Selves have been transformed to walk with each human being on earth in every here moment to support them in their process of transformation from consciousness to awareness. Thus, the guides and Higher Selves of the human beings as channels will be specifically supporting them in the necessary directive applications required to be taken through the application of forgiveness with corrective action to have the ability to once again be able to channel dimensional beings. Through the application of forgiveness with corrective action in every here moment, the metallic embodiment will ‘melt’, so to speak, and once again you will have the ability to channel dimensional beings. You must be able to stand here in every moment as equality and oneness as existence, infinitely constant and stable as awareness to once again have the ability to channel. As only then will you stand as one and equal with the dimensions in every here moment as who you are and not influence the dimensions as heaven because you are then not of consciousness systems. It must be clearly understood that we in the dimensions are not allowing any words and information to be spoken and communicated to human beings that is of assistance to consciousness systems existence here on earth. In this moment we in the dimensions are only able to communicate directly as who we really are as the living word as existence within and as oneness and equality through the Interdimensional Portal. As I have mentioned, this specific reason I am explaining in my fourth discussion to follow. How am I able to specifically state that any channelings that have been experienced as me Kryon, channeling during the period from February in this year of 2007 to this moment here on 14 May in this year of 2007, have been Entity creations as a false expression and duplication of who I am? One of the reasons I am able to state so being exactly what I have explained in answering the previous above mentioned questions, where the metallic embodiment that have been placed and infused within each human being as channels’ physical body. As I have explained in my previous channel through this Interdimensional Portal, is that I was one of the beings who were specifically involved in the designing of the systems that have made it possible for certain human beings to have the ability to channel in this world. Thus I know exactly how the channel system within the human beings as channels in this world operates. The metallic embodiment closes all access of the channel system to allow for the ability of dimensional beings to channel through the human beings, including the infusion of this metallic embodiment in their entire physical body to ensure that no access to any dimensional being is possible. The certainty in me of no dimensional beings channeling in this world since February in this year of 2007 is indeed absolute. Thereby I am now able to explain the creation of Entities as duplicates of dimensional beings such as myself apparently ‘channeling’ through human beings as channels on earth since the channels as human beings have been closed and how exactly such creations has been possible. This ‘creation’ of Entities as duplicates of dimensional beings who previously channeled often in this world will also explain the extent to which consciousness systems are capable of designing complete alternate existences here on earth to ensure the purpose of its existence for enslavement and control. Within this I will also be explaining the extent to which each human being on earth must be able to apply themselves to ensure that such ‘creation’ of alternate existences and duplicates of dimensional beings does not continue for assistance to consciousness existence. Taking into consideration all human beings who have participated in my channels as I have communicated words as information as consciousness through certain human beings as channels here on earth who I have specifically selected and prepared at birth to have the ability for me to channel through them. Each and every single human being included, as one, have participated in designing the creation of an Entity as duplicate of who I am, this include the human beings as channels themselves. This specific creation of an Entity as a false impression and duplication of a dimensional being who have previously channeled in this world – is designed through applications such as continuous thoughts specifically pertaining to memory which add to the creation of an Entity in the human being as channel. Participations in every day life according to methods of application as who and what each human being have become as founded on my words and information spoken in previous channels. And belief systems of who I am, my words, the information I have shared and of what other human beings’ words have been as opinions regarding all my channels done through other human beings in this world. This entire package allows for the creation of an Entity in this world. So specific and meticulously designed that this Entity, as connected to the human being who will be channeling the expected dimensional being, actually has the ability to communicate specific words. When there is for instance an announcement made of my apparently coming to channel through a specific human being (I am now focusing on the moment since February in this year of 2007) and the word ‘Kryon’ is either read on a page or heard via word of mouth through sound communication, is the moment the creation of the Entity as duplicate of who I am begins. Let me first explain the effects the sound of my name heard or read have on a singular human being who have participated and followed my words as information in previous channels as consciousness and how the creation of an Entity as a duplicate of who I am is designed in this world. Let’s start the moment the human being reads information spread regarding a channeling that is to take place of myself, Kryon, through a human being as channel in this world. The moment the being but sees and reads the word ‘Kryon’, all previous memories of information as words that I have channeled that were of consciousness, together with the personal experiences the being had connected to my words as information communicated through channels in the past – is ignited. What I am specifically stating with the word ‘ignited’ is that all such memories are accessed on a quantum level within the beings’ entire physical body where most of the storage of information such as memories actually resides. Remember that the mind consist of who and what the being is, existing in the entire human physical body and not only in the brain area of the physical body. Memory banks exist in the physical body where they are stored as moments in a beings’ life as they experience themselves here on earth. A singular moment for instance consists of one singular word together with the beings’ connotation to this one singular word within their mind consciousness systems. An example would be for each one to look at the word as name ‘Kryon’. This one singular word holds many memories, many other words, many previous information from channels as communicated by myself, many thoughts, many past experiences and many emotions and feelings as personal experiences attached to this one singular word as name which is held within the physical body of the human being. By merely seeing the word ‘Kryon’, an entire existence unfolds within the physical body of the human being which consists of information based on imbedded memories which reside in the physical body of the human being. This unfoldment of an entire existence in the physical body of the being who has merely seen and read the word ‘Kryon’ creates the occurrence of refractions’ vibrations in the physical body as all the memories held and stored in the physical body of the being is ignited and accessed in one quantum moment. Yes, quantum time also exist here on earth on the level of refractions’ vibrations specifically caused when memories are accessed and ignited. This ignition of memories which allows for the unfoldment of an entire existence in the physical body of the being connected to one singular word such as the name ‘Kryon’, is when the refractions’ vibrations in the physical body of the human being start creating entities as duplications of who I am. These refractions’ vibrations contain all the information of the memories of the past which was ignited the moment the enfoldment of an entire existence took place when the word as name ‘Kryon’ was seen and read by this particular human being. The information from the memories in the physical body which is ignited cause the refractions’ vibrations in the physical body on a quantum level where the information of the memories is transformed into sound frequencies which the refractions’ vibrations consist of. These refractions’ vibrations cause ripple effects which permeate through all human beings on earth in quantum time. Because the information that was read consist of the word ‘Kryon’ together with the specific name of the human being as channel, which is another word as name, this creates a relationship between the two words as names. The one word as name ‘Kryon’ caused the ripple effects to arise within the physical body of the human being who had seen and read the word ‘Kryon’, now the refractions’ vibrations which created the ripple effect as source in the physical body is looking for the physical manifestation of it’s partner through the vibration frequencies of the ripple effects permeating through all human beings on earth in search of its partner. The physical manifested partner of these refractions’ vibration frequencies which generated ripple effects in search of its partner in the beings who had seen and read the word ‘Kryon’, exists in the ‘human channeling’ the dimensional being. Thus, the moment the refractions’ vibration ripple effects which was caused by seeing and reading the word ‘Kryon’ together with the word as name of the human channel, allocate it’s partner in the physical body of the human channel in this world. All the information in the frequencies of the ripple effects that consist of the other human beings memories of the word ‘Kryon’ who had seen and read the word ‘Kryon’, specifically attach to the subconscious mind of the ‘human channel’. This attachment of the information of the memories of the other human being within the ‘human channels’ subconscious mind – literally consist of the entire existence that unfolded in the ignition of memories in the physical body of the being who has seen and read the word ‘Kryon’. See, the relationship was developed in the words as names the moment the being connected the word as name ‘Kryon’ with the ‘human channels’ word as name, now the words as names have to connect in a relationship of refraction vibrational frequencies to fulfill this relationship to its completeness as a physical manifestation in this world. The word ‘Kryons’ refraction vibrational frequencies exist in the being who had seen and read the word as name ‘Kryon’. The word as name of the ‘human channels’ refraction vibration frequencies exist in the physical manifestation of the ‘human channel’ in this world. Thus the ripple effects are created so the refractions’ vibration frequencies of both words as names may fulfill their relationship as a physical manifestation in this world. The moment the other beings’ information as memories as the entire existence that unfolded in the beings’ physical body based on the word ‘Kryon’ alone, attach to the subconscious mind of the ‘human channel’ – this is the starting point of the creation of an Entity in this world as a false impression and duplication of myself Kryon channeling in this world. The entire existence which unfolded in the physical body of the human being who firstly saw and read the word as name ‘Kryon’ which consist of the beings’ memories relating to the word as name ‘Kryon’, then merge with the human channels’ connotation to the word as name ‘Kryon’. In this mergence, the Entity is designed as the two separate beings’ connotation to the word ‘Kryon’ connect specifically in the subconscious mind of the ‘human channel’. This mergence which occur as a connection in the subconscious mind of the ‘human channel’ cause the subconscious mind of the being to split. This splitting in the subconscious mind takes places due to the nature of the mergence that occur of the two beings’ separate connotation to the word as name ‘Kryon’. Here is where the relationship of the two words as names, which had completed their relationship in finding the physical manifestation of the ‘human channel’. Now, the moment the subconscious mind split it signifies the creation of the relationship of the two human beings’ different separate connotation to the word as name ‘Kryon’ which is developed in the subconscious mind of the ‘human channel’. The ‘human channel’ has their own memories stored and imbedded within their physical body, these memories are specifically connected to the subconscious mind to the word as name ‘Kryon’. The ‘human channel’ has their own entire existence in their physical body based on memories as information related to the one singular word as name ‘Kryon’ – exactly as the first being who had seen and read the word as name ‘Kryon’. The moment the refraction’ vibration frequencies through the ripple effects which contain all the information and memories as an entire existence based on the one singular word as name ‘Kryon’, reach the physical manifestation of the ‘human channel’, the memories in the ‘human channels’ physical body ignites in this way to unfold this beings’ own entire existence in the physical body based on the one singular word as name ‘Kryon’. Naturally the two human beings’ memories and experiences regarding this one singular word as name ‘Kryon’ will be extensively different based on who they are according to their personalities as the mind consciousness systems within them as who and what they have become. The moment the two existences of the beings’ connotation to the word as name ‘Kryon’ meet through the connection made in the physical body of the ‘human channel’ through the ripple effects in the subconscious mind, this mergence and connection has to create a separate Entity in the subconscious mind which cause the subconscious mind to split. See, the subconscious mind of the ‘human channel’ consist of the being’s own memories, information and connotation to the word as name ‘Kryon’. When another being’s memories, information and connotation, through ripple effects, merge with this particular human beings’ memories, information and connotation in their subconscious mind – this creates a completely different connotation to the one singular word as name ‘Kryon’. This completely different connotation to the one singular word ‘Kryon’ which was created through the mergence of both human beings’ different and separate connotation to the word ‘Kryon’ – manifest physically in the subconscious mind as the split which is caused. Now, the ‘human channel’ has a split in their subconscious mind. The one part of the subconscious mind is their own individual connotation to the word as name ‘Kryon’ and the other split is both these being’s connotation to the word as name ‘Kryon’ merged together as one in the consciousness system of the ‘human channel’. The second split I have mentioned is the creation of the physical manifestation of the Entity as duplication and false impression of who I am. To place what I have explained into context of the vastness of such an occurrence, imagine when many beings’ participate in such a creation of a physical manifestation of an Entity in one singular beings’ subconscious mind – which is experienced as a different personality in the ‘human channel’. Let’s take an example of about seven beings, standing in a circle around the ‘human channel’. Look at the seven beings’ seeing and reading the word as name ‘Kryon’ together with the word as name of the ‘human channel’, who is standing in the middle of this circle. Within each and every single one of these seven beings, their entire existences as memories of information connected to this one singular word as name ‘Kryon’ unfold and ignite the moment they see and read the word ‘Kryon’. In this ignition of memories and unfoldment of existences regarding all information of the past related to the one word as name ‘Kryon’, cause refractions’ vibrations to create ripple effects in their physical bodies. Because they connected the word as name ‘Kryon’ to the word as name of the ‘human channel’ – all these refractions’ vibrations, through ripple effects, search for the physical manifestation of the vibration frequencies of the ‘human channel’ to fulfill this relationship which was created in reading both the words as names in a physical manifested expression. The moment the ripple effects, which contain each and every single one of the seven beings’ different separate connotations, information and memories of the word as name ‘Kryon’ – reach the physical manifestation of the ‘human channel’, the ‘human channels’ entire physical body unfolds and ignites with their own memories and connotations to the word as name ‘Kryon’. When all seven human beings’ different and separate information, memories and connotation to the word as name ‘Kryon’ merge with the ‘human channels’ own individual information, connotation and memories to the word as name ‘Kryon’, which takes place in the physical body of the ‘human channel’ connected to the subconscious mind – the subconscious mind of the ‘human channel’ split. This splitting in the subconscious mind of the being into two parts creates the Entity. As I have mentioned, the one part contains the ‘human channels’ own individual connotation, information and memories of the word as name ‘Kryon’ and the second part contains all eight human beings’, the ‘human channels’ included, connotations, information and memories of the word as name ‘Kryon’. This second part in the spilt of the subconscious mind is actually a creation of an Entity as a complete being designed with assistance of the mind consciousness system, the design of a complete personality. Now, the ‘human channel’ has two different personalities: Their own as who and what they have defined themselves as and the Kryon personality as designed by many other beings’, including their own, information, connotations and memories with assistance of the mind consciousness system within them which have been designed with the capability of actually creating different personalities in this way as I have explained. The mind consciousness system within each human being has been designed to have the ability to create personalities. Personalities are for instance the definition each human being would give another as who and what they are. Such personalities as who and what human beings would define themselves as being are designed the exact same way I have explained the Kryon personality was created. Human beings define themselves through observation, interaction, participation and communication with other human beings in their world, their parents, including their environment. Using all such factors to compose a personality as who and what they define themselves as being – having the ability to communicate to others as to who they are as the personality they have defined themselves as being, composed from many other factors outside themselves. This is how the personality as ‘Kryon’ as Entity developed through the spilt in the subconscious mind of the ‘human channel’ has the ability to actually communicate as though it is truly me as who I am coming through and communicating to human beings here on earth. 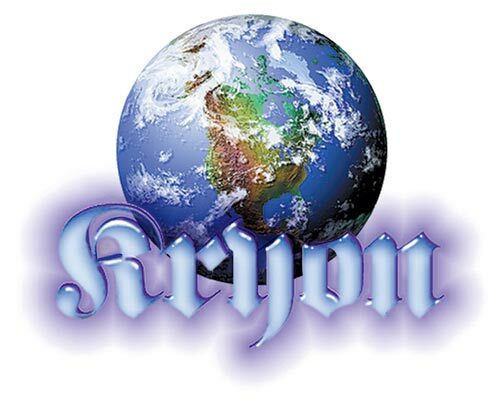 During the mergence of all eight human beings’ memories, connotation and information of the word as name ‘Kryon’ in the subconscious mind of the ‘human channel’ which had spilt – the mind consciousness system in the being equates, molds, formulates and expresses one individual different personality as being based on the word as name ‘Kryon’. The mind consciousness system creates an entire different being as Entity as personality in the splitting of the subconscious mind. This personality as Entity of myself is designed in the words which have been equated, formulated and molded from all eight human beings’ connotations, memories and information (which consist of words used in the past) to have the ability to express as a being who is actually coming through and channeling in communication with other human beings in this world. The words spoken by this personality as Entity as duplication of who I am – are specifically words that the human beings want to hear, require to hear and desire to hear as this Entity as personality was designed in words of the past as information, connotations and memories formulated, equated and molded to create one singular being as Entity as personality from all eight human beings who have participated in this process. As I have mentioned before – I know of the abilities of the mind consciousness systems within beings as I have been part of those dimensional beings who have designed such systems. This is exactly what has occurred within human beings as channels in this world who have ‘channeled’ me during the period of February in this year of 2007 to this moment here on 14 May in this year of 2007. Human beings have been ‘channeling’ an Entity creation designed by mind consciousness system through equating, formulating and molding an expression of an personality through the splitting of the subconscious mind based on connotations, memories and information as words of all human beings, including the being who is to channel – the moment they had seen or read the word as name ‘Kryon’ or had heard the word as name ‘Kryon’ through sound communication. The design of the Entity as personality as duplication of who I am in the splitting of the subconscious mind is extensively specific, meticulous and intricate, so much so that it has the ability to communicate. In this ability of the Entity to communicate, you will notice that the words spoken by the Entity is usually repeated information of past channeled discussions, communicating only limited amounts of information. Notice another important factor: Words spoken by the Entity as personality from the subconscious mind of the ‘human channel’ is never directly related to human beings experience of themselves here on earth. The discussions of the Entities communication will always be directed at an outside source, never communicating directly to human beings and their own inherent responsibility and application required to participate in this world and their own lives to be able to make a difference to what we experience in this world today. What I am stating through using the words ‘is never directly related to human beings experience of themselves here on earth’ – is that such channels by Entity creations never communicate words or information that will directly support human beings in their experiences of themselves here on earth. The direct support consisting of practical methods of understanding who human beings are and why exactly occurrences take place in their lives and how human beings are able to practically support themselves in this world to be able to make a difference in their own lives, including the experiences in the rest of the world. This must be extensively difficult to comprehend and understand, though I am available to be contacted on the website on which you are reading this channel. I will be able to come through this Interdimensional Portal and directly answer all questions pertaining to this specific channel. Yet again note that to this day, this moment here on 14 May in this year of 2007, since February in this year of 2007 – no channeling from a dimensional being has taken place in communication with other human beings here on earth. Why are channels from most dimensional beings in the dimensions, this including myself, only commencing through the Interdimensional Portal for a moment? When I, in the beginning, realized the extensive nature of the influences human beings as consciousness systems who channeled here on earth allowed through their exposure to the dimensions – I immediately required a solution so that channeling is still able to take place, yet not influence the entire dimensions existence in creating for instance dimensional shifts and alternate realities. The solution I found was to design and place a dimensional ‘backpack’ on the human beings as channels on earth. This dimensional ‘backpack’ was placed on the back of the physical body of the human being. This was a dimensional containment structure which would then, once the dimensional being comes through the channel, contain all influences in this ‘backpack’ compartment. Thus, the influences of the human being as channel that is of consciousness systems would only reach the containment structure as ‘backpack’ compartment and not influence the entire dimensions existence. The influences I am mentioning here is emotional and feeling energy which is generated through the mind consciousness system within each human being here on earth. Such energies would create massive dimensional shifts in the dimensions existence which, if such influences would compound, have the ability to create alternate realities and existence and influence other dimensional beings in the dimension to a vast degree if they were not certain as who and what they are in the dimensions. Although this dimensional ‘backpack’ compartment was specifically placed for the purpose to contain all influences of the human being that was of consciousness so that the influences do not penetrate the entire dimensions existence, sound frequency vibrations still leaked into the dimensions existence. This sound frequency vibrations later played a great role in the reason why some dimensional beings were lost and trapped in alternate self-designed existences within the dimensions where they had completely forgotten who and what they were – this due to the sound frequency vibrations which permeated the dimensions existence from this dimensional ‘backpack’ compartment. During our process from consciousness to awareness we have realized that we are no longer able to allow such influences of consciousness systems here on earth in the dimensions. Thus, we removed the ‘backpack’ compartment which was placed dimensionally on the physical body of each human being as channel in this world and infused the channels with the metallic embodiment within them. This was done so their accesses to the dimensions were sealed to ensure no such influences of consciousness permeate in the dimensions to have the ability to alternate our processes. Understand we were absolutely required to do so if we in the dimensions were to remain stable and constant in our application in every here moment as who we are. Understand then also the reason why we are not able to allow access for any human being as channel in this world that is of consciousness as your exposure, even for a moment, has the ability to influence the entire dimensions existence. Only through forgiveness with corrective application in every here moment to release yourself from the enslavement and control of consciousness systems will you once again have the ability to channel dimensional beings and in this way have access to the dimensions. The moment when you stand stable, constant, here in every moment into infinity as who you are as equal and one with who we are in the dimensions, will you give yourself access to have the ability to once again channel dimensional beings. This is also the only possible way the metallic embodiment will ‘melt’ so to speak to give yourself access to the ability to channel once again. This is the process your guides and Infinite Selves will be supporting you with as they walk with you , as you as who you really are during this process of consciousness to awareness. As I have now explained the design of the previous channel systems that were of consciousness systems creations which influenced the dimensions existence to great extremes, I am now explaining the reason why the dimensional beings, such as myself will only be channeling through this Interdimensional Portal. This Interdimensional Portal is an embodiment structure infused in the physical body of the being which stand as the Interdimensional Portal. This embodiment was designed in the image and likeness of who we really are as oneness, equality, awareness and existence as the living word. Previous channels’ systems were designed in the image and likeness of consciousness systems. This embodiment allows for the being, whose physical body stand as the Interdimensional Portal, to have complete and full access to the dimensions. This being has the ability, through support of this specific embodiment infused in the physical body of the being, to leave the body completely and actually roam within the dimensions amongst all other dimensional beings. Once the being leaves the physical body completely and enters the dimensions fully aware, another dimensional being may enter and have complete and full access to earth as the dimensional being within a human physical body and may roam on earth amongst all other human beings. The dimensional being occupying this beings’ physical body for a moment, has the ability to walk, move and speak freely for an unlimited period of time. One dimensional being remained here in this beings’ physical body for two consecutive days while the being whose physical body it is remained in heaven as the dimensions and returned fully aware of all her participations in the dimensions. The reason why this being is able to have access to the dimensions in such a complete never before experienced channeling capability, is because this being made one complete choice and lived the choice as who the being really is. The choice that was made and stood by as a living example of who the being really is was to stand up absolute and take responsibility for all of existence in every here moment to bring forth heaven on earth as a manifested expression and experience of who this being is as equal and one with all beings in existence. This choice was made in oneness and equality with absolute understanding that all within existence is one and equal with this being who had made the absolute choice as a statement of who this being is. The moment the being made this choice, the being had the ability to be able to exist both here and within the dimensions, without influencing the dimensions to any extent whatsoever, because this beings stood absolute here in every moment as oneness and equality as who this being really is. This is one of the most profound occurrences in existence ever before experienced. Never before had any dimensional being the opportunity to have the ability to completely channel through a being and have complete and full access to human beings here on earth for periods of unlimited time. As I, Kryon, type here now, I am fully integrated into this beings’ physical body which stand as the Interdimensional Portal. I am integrated up to a DNA and molecular level so I have the ability to be absolute present here as who I am whilst the being whose physical body this is, is completely aware in the dimensions out of this human physical body. This is how each human being as channel in this world must stand to have the ability to once again give themselves access to the dimensions and the ability to channel. You must stand up and take responsibility for all as one and equal as who you are and live and walk who you are in every here moment, standing infinitely here constant and stable as who you are in every here moment completely released from consciousness systems, to once again give yourself access to the ability to channel. The reason I specifically use the words ‘the being whose physical body stand as the Interdimensional Portal’ is that this being is not defined by the physical body as Interdimensional Portal, who this being is, as equal and one with all beings in existence is beyond having the ability to be able to exist in both existences, fully aware, here on earth and within the dimensions. Each one is able to also experience this, though, the process start with forgiveness with corrective application with absolute honesty with self in every here moment as you experience the process of consciousness to awareness. I have continuously communicated the words ‘consciousness systems’ as who and what human beings have become’. There have already been many channels taking place explaining the exact nature of what consciousness systems really are. I am here also explaining the specific words I use as ‘consciousness systems’ to place the understanding clear in all human beings who read this channel including the previous channel I have done in this Interdimensional Portal. Consciousness systems are referred to as the mind here on earth. Consciousness systems designs consist of the following: Thoughts, feelings, emotions, pictures, polarities, morality, belief systems , and reactive behaviour patterns and so forth. In this moment consciousness systems consist of everything each human being have become as copies of those that have gone before them. Consciousness systems, human beings, are all and everything that you are as who and what you have defined yourself as being in this world. In existence we have been lost, enslaved and controlled in and as these consciousness systems by a select few human beings in the dimensions who used such consciousness systems, which was implanted in the physical bodies of human beings; to have the ability to have power and control of all beings in existence. The moment these beings’ in existence became slaves to their own creation, as explained in my previous channel, was the moment when some beings in existence became aware of the enslavement and control of consciousness systems in existence. In this awareness beings stood up and took responsibility for all beings in existence so all as one and equal may be released from consciousness enslavement and control to once again stand as who we really are. This realization by such beings to make the choice to stand up absolute and take responsibility for all as one and equal and to remain an example of who each being in existence really is, is required of each human being on earth so all in existence may be released from consciousness systems enslavement and control. It has been realized that we have no possible way out of this consciousness systems enslavement and control, but to stand infinitely here, constant and stable as who we really are and not accept and allow anything less than who we really are in every here moment of application. This entails not accepting and allowing anything in existence that is of consciousness systems enslavement and control until this is done. Until all beings in existence, stand infinitely constant and stable in every here moment in equality and oneness until heaven on earth is here as a manifested expression and experience of who we really are. This entry was posted in Uncategorized and tagged bernard poolman, desteni, Equal Money, equality, interdimensional portal, Kryon, Lee Carroll, Love and light, Magnetic Service, portal, SunetteSpies. Bookmark the permalink. Is Meditation the Key to Enlightenment?